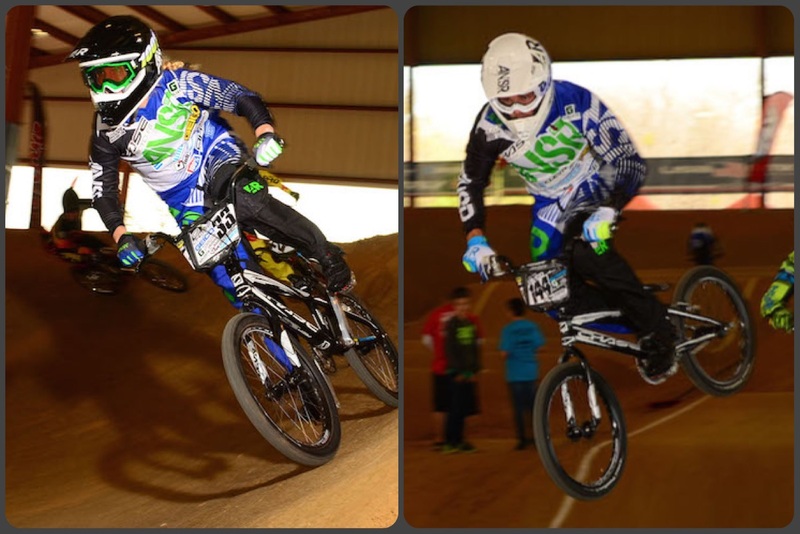 Round #3 of the USA BMX Pro Series took to the perfectly manicured Desoto, TX BMX track this past weekend. 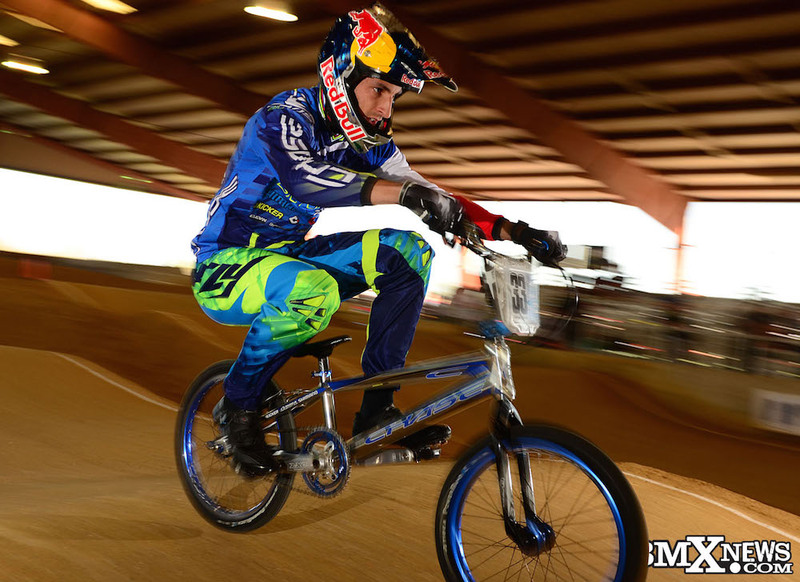 This work of art BMX track and facility always hosts a great round of National caliber racing. The covered Desoto arena gives the riders the piece of mind about the weather conditions, which can take a turn in a matter of seconds deep in the heart of Texas. 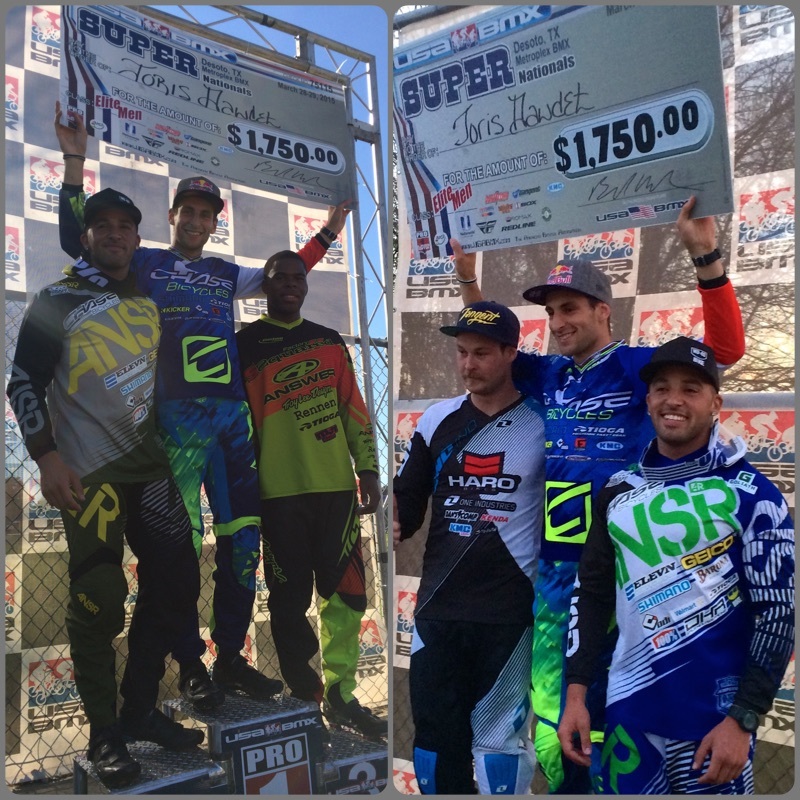 Joris Daudet has had some great performances in his past few USA BMX Events with placing 2nd at last weekends USA BMX North American Supercross event. Joris was looking to continue his podium appearances at the end of the race day and on Friday night, he did just that. With a stacked Pro class, Joris took the lead from the gate drop, taking the hole shot award and the lead, all the way to the line for his first USA BMX Pro Series National Main event win of the year! Tailgating Joris in 3rd was DHR/Chase Pro Anthony Dean. On Day 2, it was once again a day dominated by the Chase sponsored riders. Joris again rode strong and smooth all the way to once again take hole shot award and the impressive win in the Elite Mens Class. DHR Pro Anthony Dean stepped it from Day 1, with a ultra impressive lap in the main event, just finishing behind Joris, in the 2nd overall spot for the day. 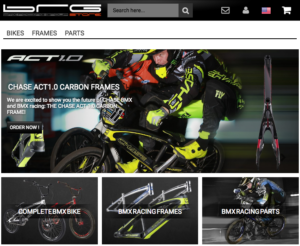 The Dale Holmes Racing Pro Team was on fire in Desoto as well, with Dani George winning the Elite Women’s Class on Day 1 and in Elite Men, it was Anthony Dean finishing in 3rd on Day 1 and 2nd on Day 2. With Desoto in the rear view mirror, it is now time to prepare for the 2015 UCI World Cup tour, that kicks off in just a few weeks in the UK. 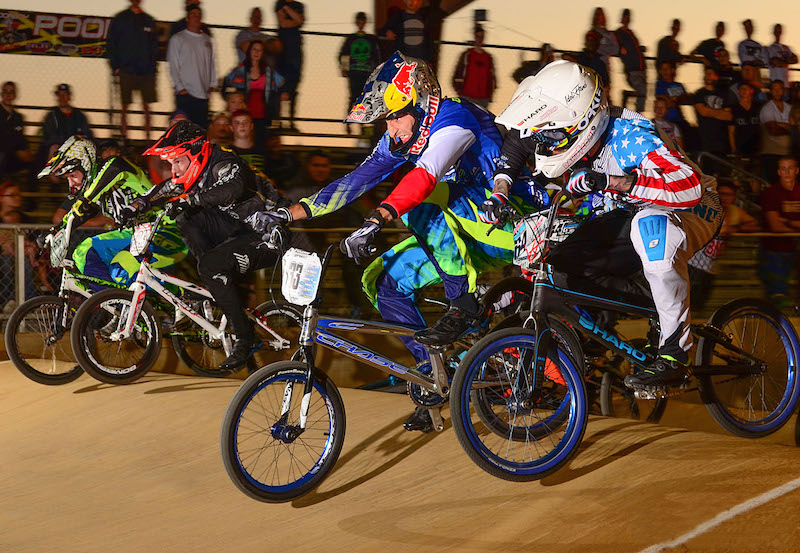 Joris, Connor, and the DHR Pros will head to Europe to get ready for the start of 2015 UCI BMX Supercross World Cup tour in Manchester. Connor will be racing next weekend in Zolder, Belgium at the BMX European Cup.